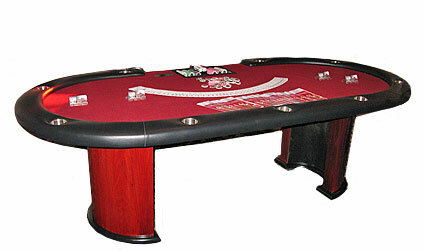 Our Poker/Texas Holdem tables are beautiful and will add an unbelievable look and feel to your casino party or event! Our Poker/Texas Holdem tables are of the highest quality materials and will give your event a great look and feel! This table is a full 98 inches making it the only full size poker tables available for rent in Louisville, Kentucky. This table can comfortably fit up to 10 adult players plus a Dealer position. The table top is covered with open-core foam which doesn’t absorb liquid meaning that anything that any accidents resulting from liquid being spilled on the table can be cleaned up and completely dry in a matter of seconds. The felt is digitally printed synthetic felt material that also doesn’t absorb liquid. This is the exact same felt that is utilized in actual casinos. This table features a chip tray, padded arm rail, 300 chips with denominations clearly marked, wooden ½ moon arched legs, and jumbo size cup holders. This is the same size table that is used on the Travel Channel and ESPN for their televised Texas Hold’em Poker tournaments! Texas Hold’em is a variation of the card game, Poker. Two cards, known as the hole cards or hold cards, are dealt face down to each player. and then five community cards are dealt face up in three stages. The stages consist of a series of three cards (“the flop”), later an additional single card (“the turn” or “fourth street”) and a final card (“the river” or “fifth street”). Each player seeks the best five card poker hand from the combination of the community cards and their own hole cards. If a player’s best five card poker hand consists only of the five community cards and none of the player’s hole cards, it is called “playing the board”. Players have betting options to check, call, raise or fold. Rounds of betting take place before the flop is dealt, and after each subsequent deal. In Texas Hold’em, as in all variants of poker, individuals compete for an amount of money or chips contributed by the players themselves (called the pot). Because the cards are dealt randomly and outside the control of the players, each player attempts to control the amount of money in the pot based either on the hand they are holding, or on their prediction as to what their opponents may be holding and how they might behave. The game is divided into a series of hands (deals); at the conclusion of each hand, the pot is typically awarded to one player (an exception in which the pot is divided between two or more is discussed below). A hand may end at the showdown, in which case the remaining players compare their hands and the highest hand is awarded the pot; that highest hand is usually held by only one player, but can be held by more in the case of a tie. The other possibility for the conclusion of a hand occurs when all but one player have folded and have thereby abandoned any claim to the pot, in which case the pot is awarded to the player who has not folded. The objective of winning players is not to win every individual hand, but rather to make mathematically and psychologically better decisions regarding when and how much to bet, raise, call—or fold. By making such decisions to place influential bets, one can non-verbally represent or suggest holding or not-holding a certain or possible hand by either betting or not-betting pre-flop, and by venturing smaller or larger bets or raises at possibly more advantageous times, throughout the stages of the hand being dealt. One’s pattern of betting may encourage opponents to bet or to fold (in this complex process, called bluffing), without verbalizing a discouraging or dishonest word. 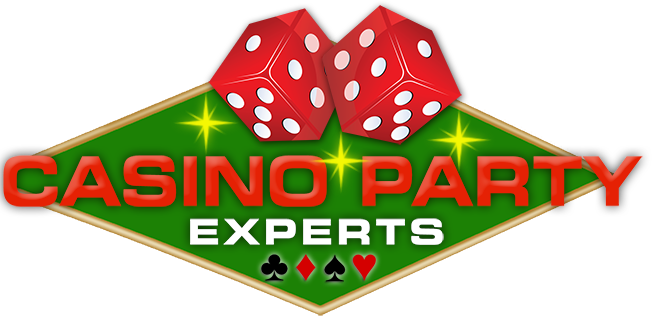 The winning poker players know how to enhance their opponents’ betting and maximize their own expected gain on each round of betting, to thereby increase their long-term winnings.